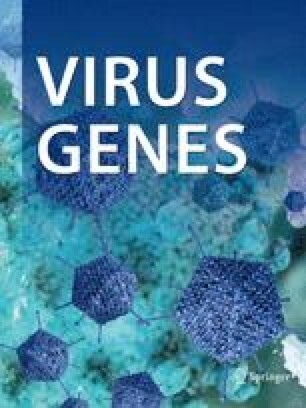 The genetic variation in equine arteritis virus (EAV) GS protein encoding gene was investigated. Nucleic and deduced amino acid sequences from eight different EAV isolates (one European, two American and five Canadian isolates) were compared with those of the Bucyrus reference strain. Nucleotide and amino acid sequence identities between these isolates and the Bucyrus reference strain ranged from 92.3 to 96.4%, and 93.2 to 95.5%, respectively. However, phylogenetic tree analysis and estimation of genetic distances based on the GS protein encoding gene sequences showed that the European prototype Vienna strain, the American 87AR-A1 isolate and all other North American EAV isolates could be classified into three genetically divergent groups. Our results showed that the GS protein-encoding gene can be subjected on the basis of phylogenetic analysis to genetic variation, as previously shown for the other three EAV structural protein (M, N and GL)-encoding genes.